Overall, The Victorian Christmas Brides Collection is a wonderful book of Christmas novellas that will take you back to the 1800's where each author shares a Christmas story that will sweep the time away, along with your heart. The pages of this book are beautiful and you'll turn each page faster than the one before as you read a stories about a pre-arranged marriages, childhood friendships, misunderstandings, Christmas miracles and so much more! My favorite novella was The Sugarplum Ladies by Carrie Pagels! I loved this novella first because it was set in Michigan and Ontario. As a Michigander, I couldn't help but love this story. Second, I couldn't help but love how Carrie wrote the story. I felt like I was part of the novella and apart of it. I love that the ladies learn how to bake in this story. I can smell their bakes goods now as I am thinking of this novella. Such a good story! And, Percy! You must read it! The collection of nine novellas is simply delightful! 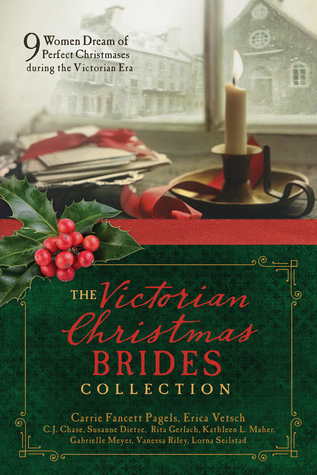 Make sure you order a copy of the Victorian Christmas Brides Collection today! You will be glad you did!